In this post we share with you essential tips to help you travel from Colombo to Kandy, cheaply and comfortably. You might be questioning if you should take the Colombo to Kandy train or if a taxi from Colombo to Kandy might be easier. Read on to find out about our favourite and recommended option. The distance from Colombo to Kandy is a 115 kilometres to drive. 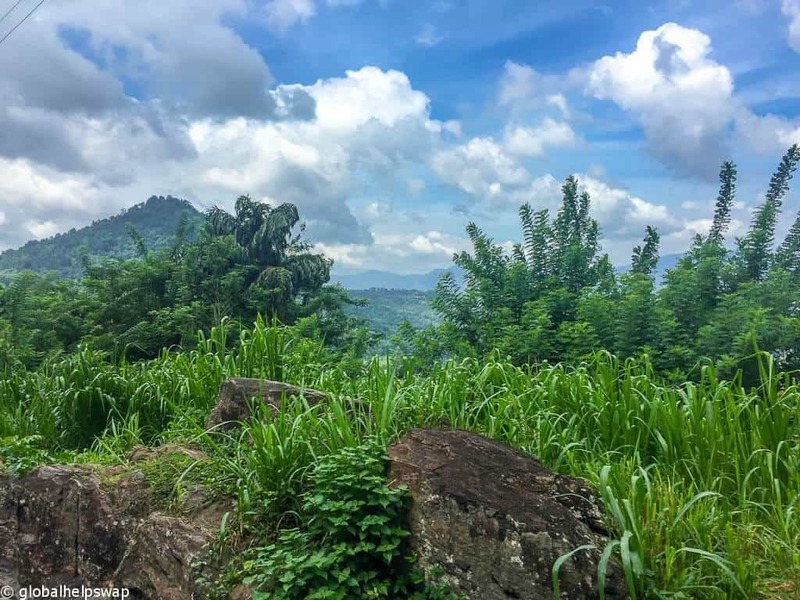 We had 3 options to travel from Colombo to Kandy – taxi, bus or train – and after some research here’s what we discovered. I guess the title gives away that our favourite way to get here is to take the train from Colombo to Kandy. The journey is beautiful with stunning vistas along the way. 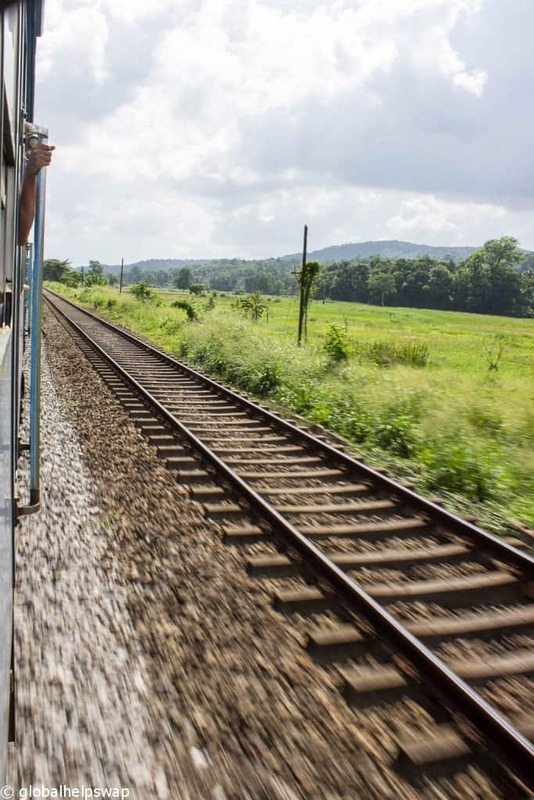 The Colombo to Kandy train journey is cheap, comfortable, hassle free and you will be rewarded with spectacular views on your train journey from Colombo to Kandy. Train journeys are also a great way to sit and chat with local people. 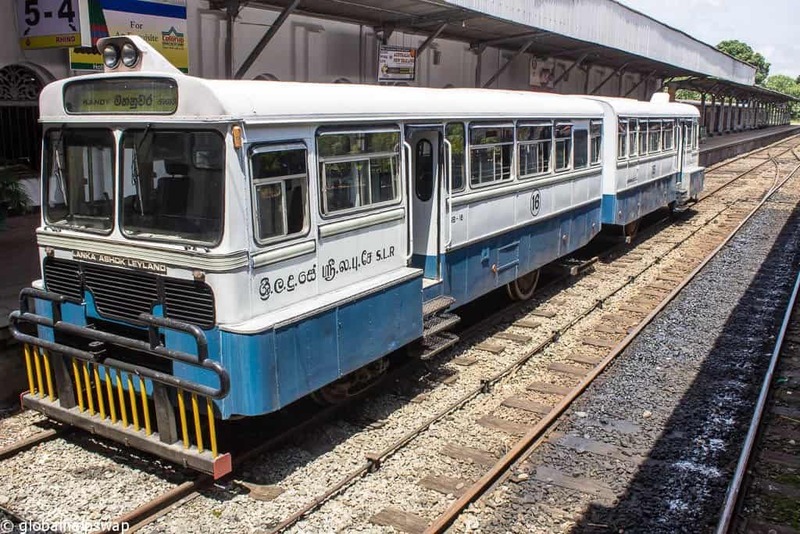 There are different types of trains you can get from Colombo to Kandy – Intercity, Express trains, and Colombo Commuter with Intercity being the Fastest and Colombo Commuter being the slowers. Reservations are needed for Intercity trains which means you are guaranteed a seat. This can be done just before the departure depending on what time of year it is but it is best done in advance especially if you are traveling on a weekend or during a public holiday. There is an observation saloon (1st class) on this particular train but we highly recommend getting a train ticket in 2nd class as this then gives you the option to take photos from either side of the train as you can walk between carriages and the windows open. As the 1st class carriage is a/c you can’t do this. Sri Lanka Railways 2nd & 3rd class unreserved cars cannot be booked in advance. Tickets are only sold on the day of departure at the ticket office, and sometimes from only an hour before departure. All you have to do is turn up at the station, buy a ticket and hop on, it’s easy. Tickets cannot sell out. However, the unreserved cars are often crowded (we are talking from experience! ), whether you get a seat depends on whether you’re joining at the starting station or en route, and how busy that day or time is. Even at the starting station it is sometimes hard to get a seat as these carriages are the cheapest and most popular. So that means you might have to stand, not ideal if you have luggage. Most of the long distance trains have a designated 2nd class reserved cars and sometimes a 3rd class reserved car. (All seats in 1st class carriages have to be reserved). Seats in these reserved cars can be booked up to 30 days in advance. If you buy a ticket for a reserved car you are guaranteed a seat, and a specific seat number will be printed on your ticket. There is no standing allowed in reserved cars so the carriage never gets crowded. This is the option we mostly took and it was our favourite one. 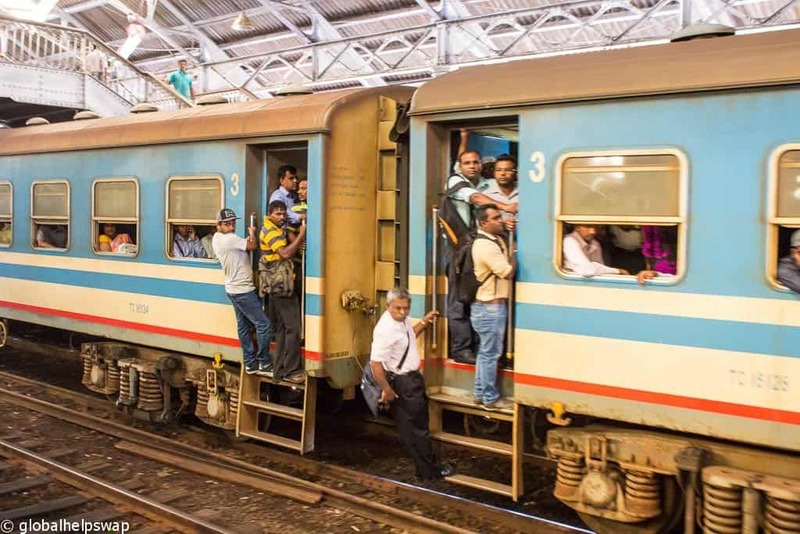 Tickets for the reserved cars often sell out soon after booking opens, so it’s a good idea to book tickets in advance before you get to Sri Lanka. We have never used them but they have a good reputation. 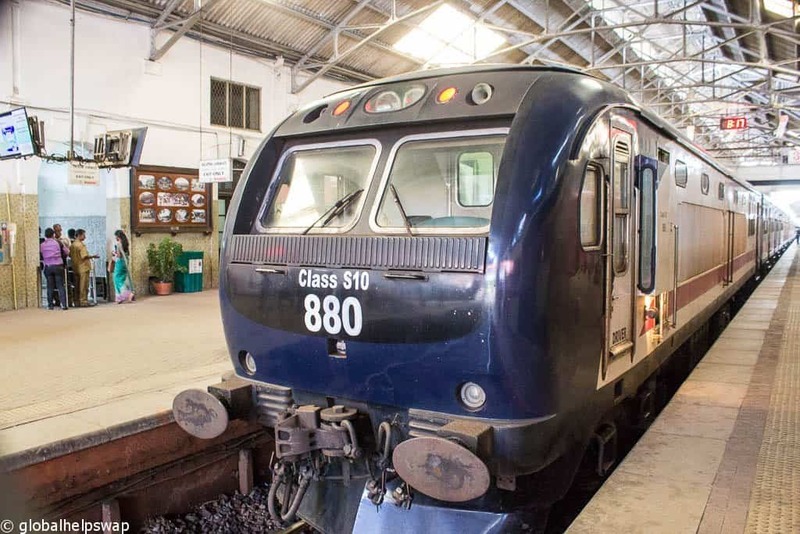 Expect to pay Rs 1,580 for a 2nd class reserved seat and around Rs 1,980 for a 1st class a/c carriage from Colombo to Kandy. If you do want to book a 1st class ticket then you can do with the privately run companies that run these 1st class cars: ExpoRail & Rajadhani both have online booking facilities. www.exporail.lk (there website is currently down) & www.rajadhani.lk. – No guarantee of a seat, unless you book in advance with an agency or with the private 1st class carriage operators. Our preferred way to get from Colombo to Kandy. We really enjoyed this train journey and we hope you get to do it one day. You can hire a car and a driver to take you to Kandy from most hotels and even directly from colombo airport to Kandy. If you’re going from the airport you can go to the taxi desk before you exit the airport and arrange the transfer quite easily. Make sure you ask to go via the Expressway. At the time of writing it cost around $122 to get from Coombo to Kandy by taxi. You can click here to get the latest rates. It takes around 3 hours 15 mins to get from Colombo to Kandy although this is highly dependent on traffic. – You are guaranteed a seat. – It costs a lot more to travel this way. 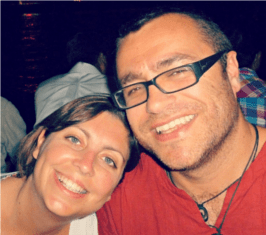 – You miss out on the adventure of getting there by public transport and meeting local people. – You miss out on a beautiful scenic train journey. An easy comfortable but expensive way to get from Colombo to Kandy. Click here to check latest prices. Buses between Colombo and Kandy are both common and frequent, running right throughout the day and night. You can catch a public bus from Colombo Bus Station to Kandy from around Rs 130 and it takes roughly 3 hours. There are also private buses from the bus terminal across from the CBT. From Negombo bus terminal you can get a bus to Colombo for Rs 150. Alternatively you can get the bus 245 as it goes straight past the airport. Stand on the main road on the other side of the fence and the bus will come from the right. The price is around Rs 140. Intercity air-conditioned bus is the next best option if you want a more comfortable bus journey after all, it can get hot in Sri Lanka! Private A/C buses depart from the private bus stand at Pettah bus stand. A/C buses cost around Rs 285. – Takes as long as the train but isn’t as scenic or comfortable. Kings Pavilion is an oasis of calm in the mad city that is Kandy. The hotel is situaed on top of a hill with fantastic views of Kandy. The rooms are beautiful and luxurious, the food excellent and the service will make you feel like royalty. Check here for latest prices. Luxury tents with huge attention to detail. This eco lodge is located in the Madulkelle Tea estate and enjoys stunning views of the rolling hills. The views from the pool side are fabulous and will tempt you to spend a day or two just lounging there, on top of the world. Check here for latest prices. This is a beautiful villa with spacious well kept rooms that’s 2 km away from the centre. It is a quiet and peaceful place with great sunrise and sunset views. Check here for latest prices. 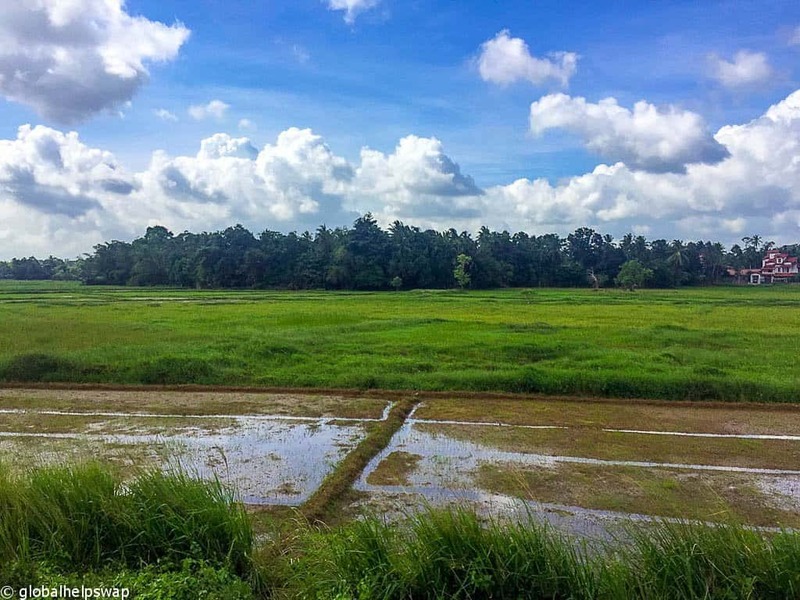 Best Eco Hotels in Sri Lanka – Find out which are the best eco hotels in Sri Lanka and why you should stay in them. 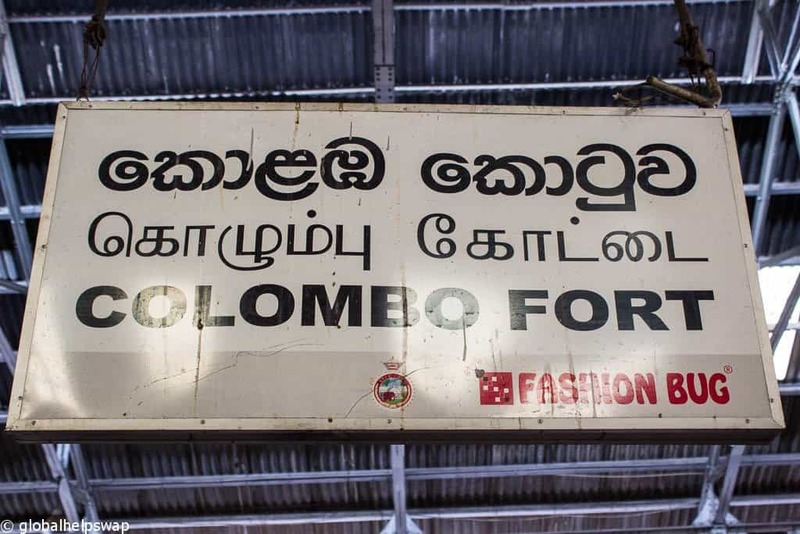 How to get from Colombo to Galle – Read why we think this train journey is your best option. You are welcome, we are glad you like it! I googled “kandy to colombo” and your site came up second, right after google maps. The info is exactly what I was looking for. I’ll be in Sri Lanka in July and am currently digging and planning. Thanks, and I’ll be back! Thanks so much for your comment John! Hi Paul.. Thanks for the info. I observe that you have taken pains to note down even the minutest details. I seek your advice on my proposed visit to Sri Lanka. I and my wife will be landing in Colombo at about 12 AM on 6th May 2018 by Sri Lankan Airlines. My return Flight is booked for 9th May at 7.20 AM. I request you to suggest the best possible itinerary keeping in mind that our interests are confined to nature, ancient temples, historic monuments etc. My trip is a budget constrained one. Accordingly I request you to suggest something and help me. 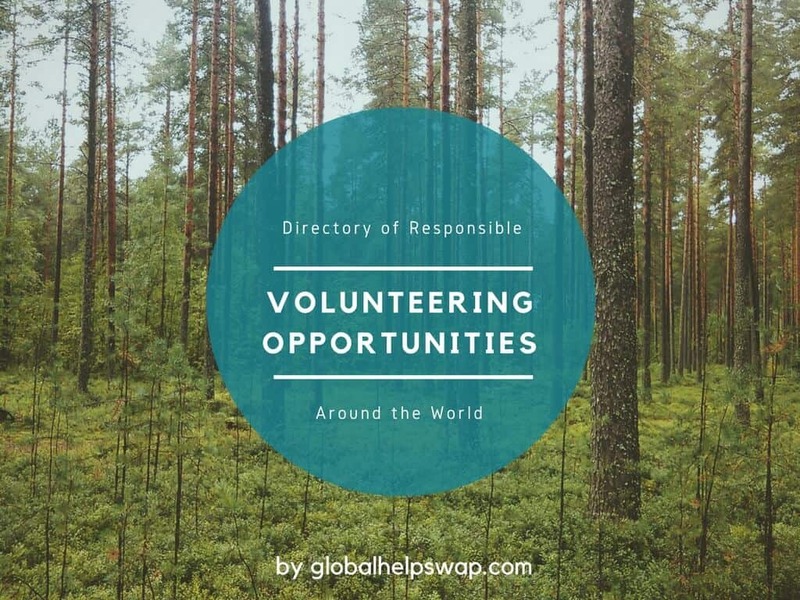 Hi there – just stumbled across your website which looks as though may be very helpful for us! We are arriving at Colombo airport at 16.35 on 29th of October and need to get to the Earl Regency hotel in Kandy – looks like you’re best advice is to get the train – which we would prefer – could you give us some advice on how to go about organising this? Many thanks in advance! 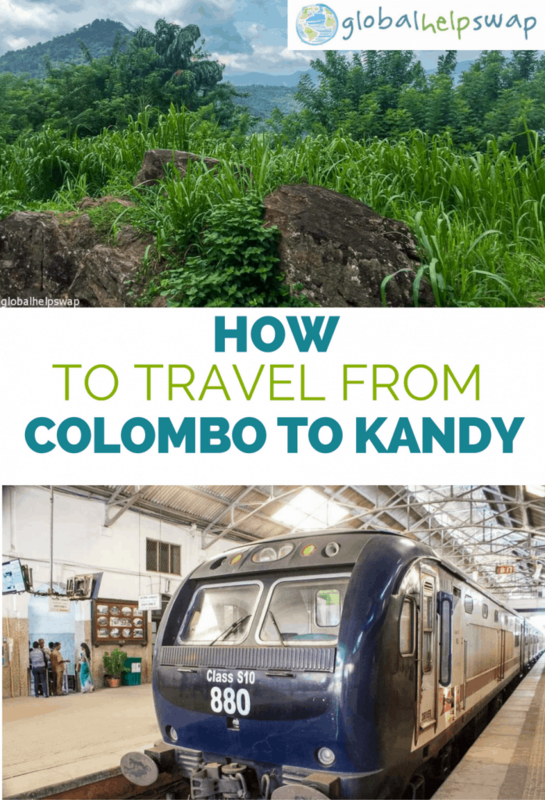 How long does it take for the train journey from Colombo to Kandy ?